We live in a rapidly expanding world, and one that is increasingly urban and focused on the economic, social and creative opportunities offered by cities. As a result of demographic shifts and overall population growth, the lure of city living will account for an increase of around 2.5 billion people in urban areas by 2050. This is according to a report by the UN Department of Economic and Social Affairs, which predicts two-thirds of the world’s population will be living in cities by the middle of the century. Overall, the global population is expected to swell beyond 11 billion in the next 80 years, UN data shows. 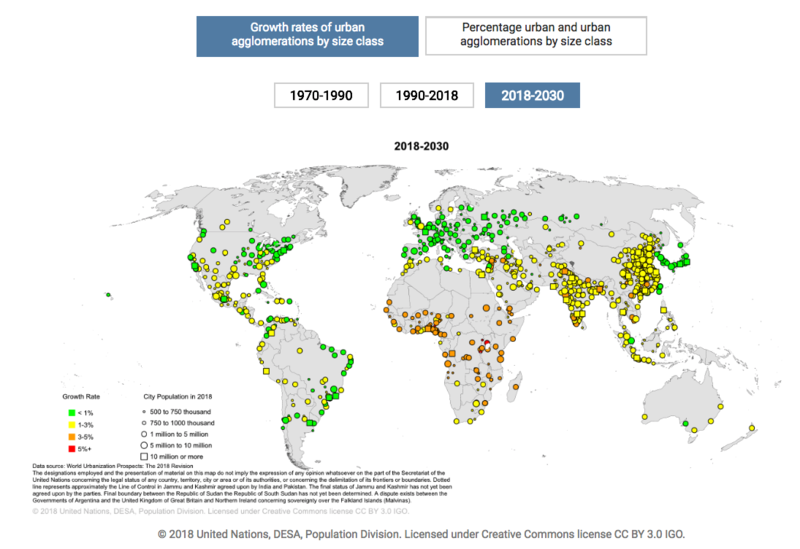 The increase in urban dwellers is likely to be concentrated in just a handful of countries. India, China and Nigeria will account for 35% of the projected growth of the world’s urban population by 2050, with India adding 416 million people, China 255 million and Nigeria 189 million, the UN says. 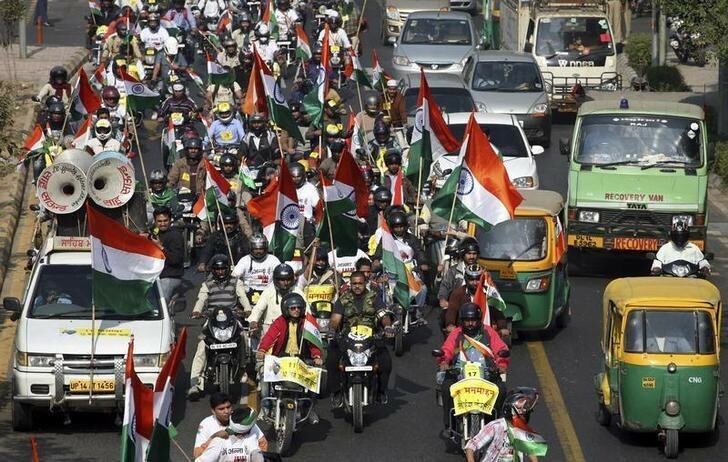 India is also destined to have the world’s largest population by country by 2024, overtaking China, which is currently home to around 1.4 billion people. 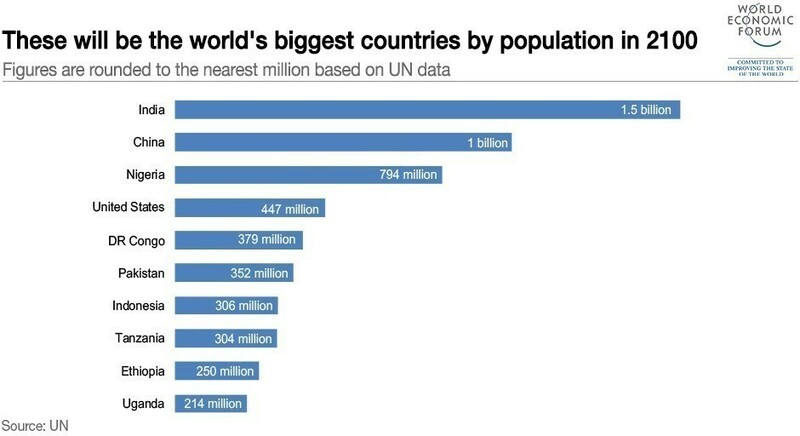 India, China and Nigeria will have the biggest populations by 2100. By 2060, over 1.6 billion people will call India home, though by 2100 the population will have decreased to around 1.5 billion, the UN predicts. There will also be more “megacities” – urban areas with at least 10 million inhabitants. Today, there are over 30 megacities. 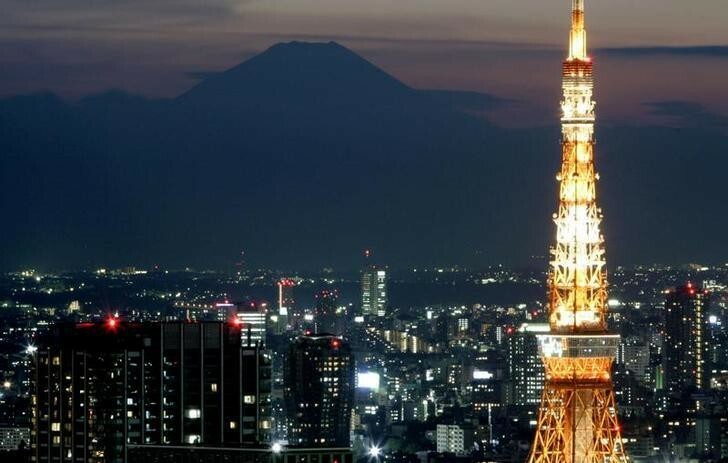 Tokyo, the largest, is home to around 37 million people. However by 2028, Delhi will overtake Tokyo as the largest city, and by 2030 the world could have 43 megacities, most of them located in developing nations, the report says. Delhi will overtake Tokyo as the world’s largest city by 2028. As cities around the world boom, the challenges they face, including traffic congestion, inadequate energy infrastructure, lack of basic services, crime, poverty and poor governance, will intensify. According to the World Economic Forum’s Inspiring Future Cities & Urban Services report from 2016, city administrations cannot address the challenges posed by rapid urbanization alone. Instead, they must rely on citizens, the private sector, NGOs and academic institutions to provide complementary skills and resources, the report says. Alice Charles, Urban Development Lead at the World Economic Forum, says with two-thirds of the world’s population expected to live in cities by 2050, the question of how to make cities work better for their inhabitants has never been more urgent. “If managed well, urbanization and city living can have many benefits. Cities provide an efficient way of organizing people’s lives: they enable economies of scale and network effects, and reduce the need for transportation, thereby making economic activity more environmentally friendly,” she says. Charles also argues that the diversity of cities can instill social tolerance and provide opportunities for civic engagement. Tokyo is the largest megacity in the world, but not for much longer. “However, if managed badly, cities can be left choking under the burden of pollution, congestion, sprawling slums and urban poverty. In the developed world, urban sprawl can lead to individual levels of resource consumption far exceeding those in the developing world,” Charles warns.